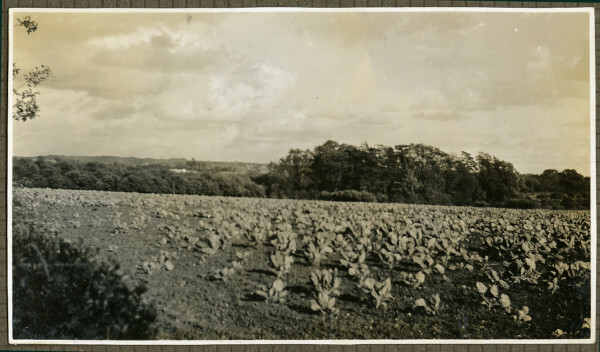 A black and white photograph detailing some farm land in the Letchworth Garden City area, circa 1940s to early 1950s. The image shows a plot of growing vegetables. Photograph taken by Harold E Hare.